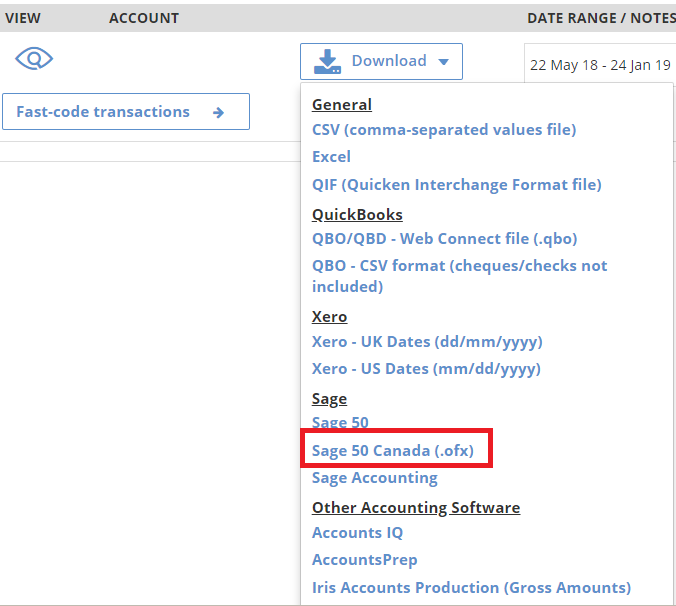 While Sage 50 Canada is restrictive on the acceptable file types for importing bank statement data as bank transactions, we've used the Open Financial Exchange format that allows you to get your captured bank data files from AutoEntry into Sage 50 Canada to be able to automatically match the online transactions to the Sage 50 transactions. 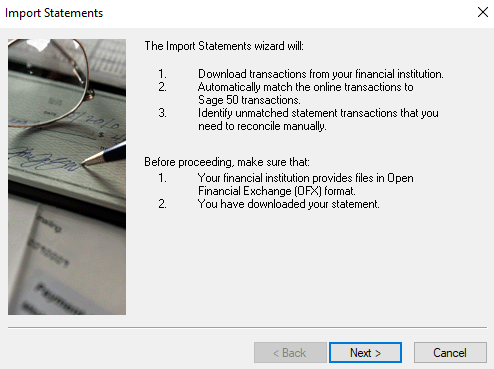 When the extraction is completed by AutoEntry simply use the Sage 50 Canada option to download your statement data. 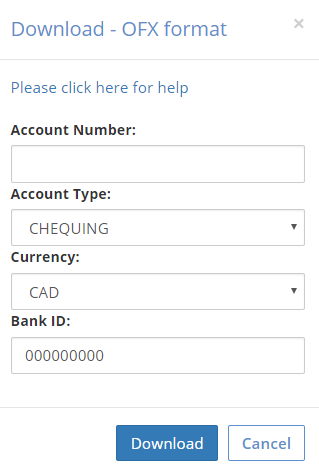 To do this go to the relevant bank account and click: Download > Sage 50 Canada (.ofx). Account Number: So long as the account number is visible, AutoEntry will capture it and it will appear by default here. The field is editable if any changes need to be made before downloading. Account Type: Choose the most appropriate account type from the drop-down. Currency: The currency will default to the currency set for the company within Company Settings but can be changed if the user wishes to. Bank ID: This is the bank's routing number - if you have it you should enter it but the default zeros '000000000' is fine.